Redecorate Your Home Using What You Own! Earn $75-150 Per Hour Decorating! Advanced Redesign - Taking It Up a Notch! Looking for more in-depth training in redesign? Hot off the e-press! Sixteen chapters (the equivalent of 200 pages) on strategic re-design training to help you maximize your profits. Tons of strategies and concepts. Recommended for those that have already taken the basic training in Rearrange It!. 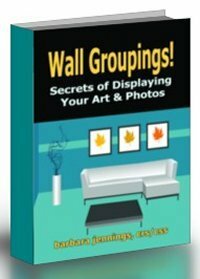 Learn how to design the perfect wall grouping! Have fun creating a breathtaking room with your wall decor. Hang It Perfectly - Just Like the Pros! 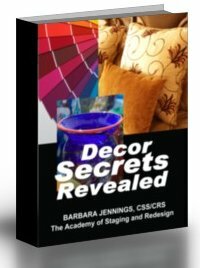 Looking for FREE Decorating Tips? Subscribe to my monthly Newsletter bringing you hundreds of promotional tips and tricks -- (A $147 VALUE!) All you have to do is send a blank email to our ListManager using the link below - then confirm your subscription when you get a response from ListManager.